Poach the chicken in stock. 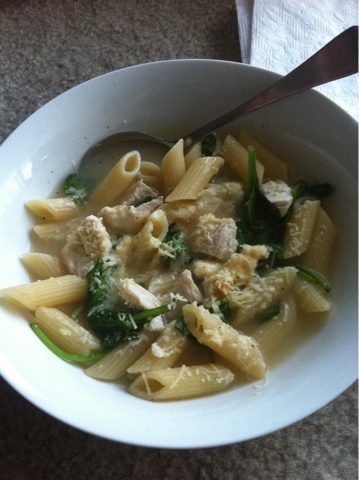 Remove the chicken and cook pasta in the same stock. Shred the chicken and return to the pot with some fresh spinach. Dinner. Oh, you could grate some Parmesan on top if you are so inclined.